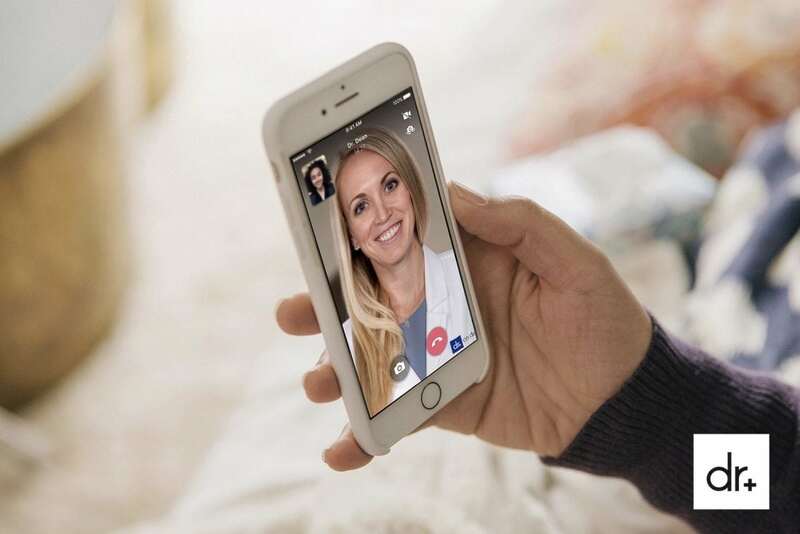 Doctor On Demand, a startup that provides telemedicine services to patients who are unable or unwilling to see a doctor in person, says it has raised a $74 million round of outside financing. The new cash comes as the San Francisco-based company seeks to increase its market share in the telemedicine industry, which is projected to grow to nearly $64 billion globally by 2022. Doctor On Demand’s customers include large employers like Comcast (NASDAQ: CMCSA), whose workers can request a video consultation with a physician or psychologist in its provider network. After a patient tells the startup’s website or mobile app what symptoms he or she is experiencing, a clinician sends the patient a request to join a video visit. The average wait time is five minutes, Doctor On Demand says, and the service is available 24 hours a day. When a patient has completed a video consult with doctor or psychologist using the company’s tools, the clinician can prescribe medications and have them sent to the pharmacy of the patient’s choice. Doctor On Demand also gives healthcare providers the ability to order lab tests for patients, and recently introduced an expanded feature set for managing chronic health conditions. With the latest financing, Doctor On Demand says it has now raised more than $160 million from investors. The company adds that it has hundreds of business customers and counts more than two dozen health plans as partners that receive services from a provider network that has physicians in all 50 U.S. states. Doctor On Demand says it plans to use some of the proceeds from the new funding round, which was led by Princeville Global and Goldman Sachs Investment Partners, to fund product development and partner with additional employers, healthcare providers, and insurers. Other participants in the funding round included Shasta Ventures, Tenaya Capital, and Venrock, according to a news release. “Access to quality care that puts the consumer in the driver’s seat is critical in moving the healthcare industry forward,” Bryan Roberts, a partner at Venrock, says in the release. Doctor On Demand is also making headlines this week because it was one of a handful of telemedicine services that storm victims in Puerto Rico and Texas used in the weeks after Hurricane Harvey and Hurricane Irma made landfall last year, according to a new paper in the Journal of General Internal Medicine. The startup was founded in 2012 by talk show psychologist Phil McGraw (best known as Dr. Phil), as well as his son Jay McGraw and Adam Jackson. Jackson served as Doctor On Demand’s CEO until he left the company in May 2016 and was replaced by Hill Ferguson. Jackson is now a managing partner and chief technology officer at Cambrian Asset Management. Telemedicine is a somewhat crowded pocket of the healthcare industry. Other companies developing technologies to facilitate remote doctor visits include Teladoc (NYSE: TDOC), American Well, and HealthTap. Telemedicine services can be a sensible alternative to in-person appointments for people who live dozens or even hundreds of miles away from their healthcare provider’s nearest hospital or clinic. But another potential user set is people living in an area that has recently been hit by a natural disaster, as researchers from RAND Corporation and other organizations write in the Journal of General Internal Medicine paper.